My favorite way to explain giving yourself compassion is the analogy of how you would treat a small child. 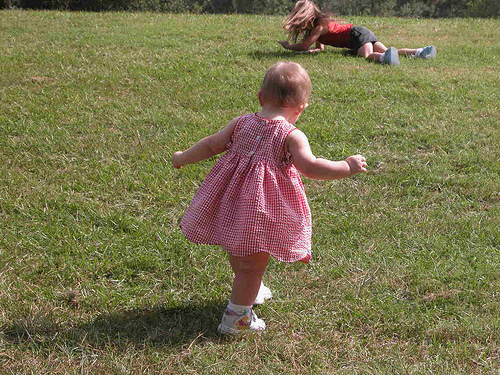 Let’s say your child is learning to walk. After a few wobbly steps, do you criticize him or her and say, “Look at you. You’re so clumsy. What’s wrong with you that you can’t walk yet.”? Of course not. You offer encouragement. You’re excited! You might even clap your hands in delight. Now let’s say your child wants to eat candy for dinner. You set limits and say, “no” because only eating candy will likely make your child feel sick and it simply isn’t healthy. People mistakenly think that self-compassion always means saying “yes” to yourself. Sometimes it means saying “no”–but doing so with kindness. 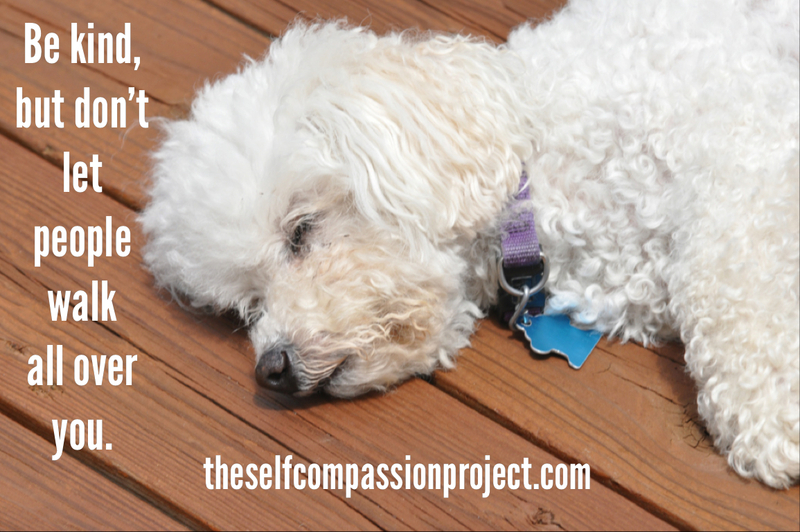 It’s important to remember that self-compassion involves nurturing and limit-setting. Here’s another post I wrote about self-compassion and limit setting. 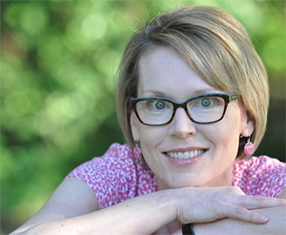 Here’s an interview I did with Dr. Alice Boyes over at her blog, In Practice, at Psychology Today on The Self-Compassion Project. I think there are actually two aspects of self-compassion: the ability to nurture oneself and the ability to set limits with oneself. But when I think of self-compassion, I tend to focus primarily of the nurturing aspect. For example, when I take a bubble bath, I view that as being self-compassionate. When I let myself rest when I’m tired, or when I take time to meditate—I see those things as practicing self-compassion. And usually, since I tend to be overly serious and driven, it is the nurturing part that I most need to work on (as a side note: Greg said I must be the only person who puts a clock by the bathtub—I say, how else will you know when to get out?). Right now I have several ideas for more blog posts to write. I have a gift certificate left over from my birthday, and I’d love to go shopping. It’s rainy and dreary outside, and curling up with the dogs on the couch reading sounds appealing. Not to mention, I just received in the mail some new Sharon Salzberg meditation CDs that I so want to try. BUT, I also have a mound of paperwork to go through. 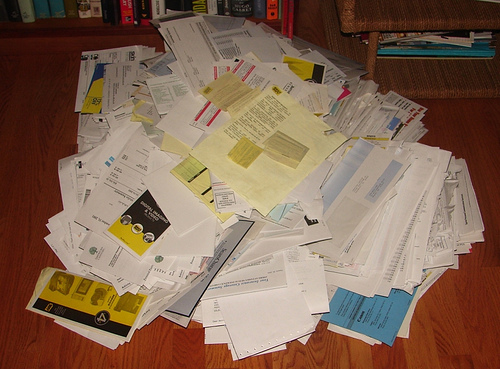 I know you probably have this image of me that I’m super organized…that my “mound” is probably just one little pile. Not true. I literally have papers back from last summer still in multiple piles. Piles that have gotten so high that the contents from individual files have slid out all over the place; Piles that have migrated from the tops of the desk onto the floor. The kicker was today when Greg said, “I can’t find our ‘Really Important Papers’ file.” Things have gotten out of hand. I’ve always prided myself on being organized. And I’d be the last one to be described as a procrastinator (I always studied for tests and wrote papers way before deadlines). The truth is, I do procrastinate. I procrastinate by working. Then I can feel virtuous even as I’m procrastinating! I put off the mundane paperwork and housecleaning so I can pursue my creative interests, such as writing. While it feels good in the moment, when I walk into the rooms with all the piles, it’s unsettling, and I tend to keep a lot of doors closed. So, right after I find the perfect picture to go with this post, I’m diving in to the piles of paperwork. And you know what, I think setting limits with myself will actually be the most self-compassionate thing I can do.